The TUFF-RIB design, our most popular panel, is unmatched in performance and durability. It is used mostly in residential applications but can be used for commercial buildings as well. It can be applied over 1x4's or over 15/32 plywood decking. 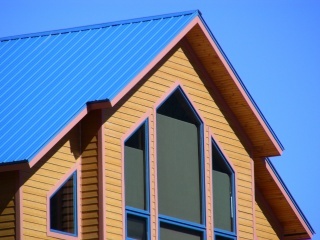 The TUFF-RIB panels are available in all colors, provide 3' of coverage per panel width, and are custom cut to length. The TUFF-RIB panels can be purchased in both 26 & 29 gauges, making it our most versatile panel style. Click here to download installation specifications.